This article is part of IPS coverage of International Women's Day on Mar. 8. 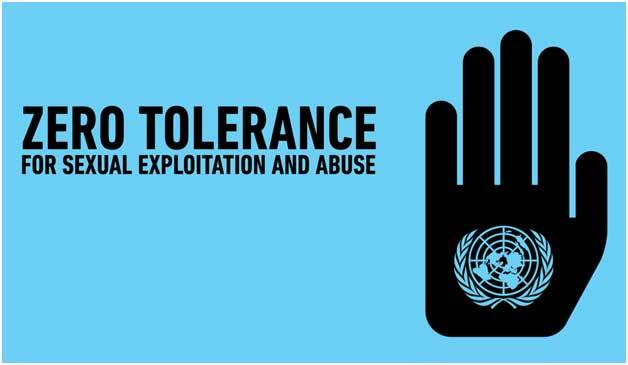 UNITED NATIONS, Feb 27 2019 (IPS) - The United Nations, which prides itself with a “zero tolerance” policy on sexual exploitation and abuse, has come under relentless fire for failing to match its words with deeds—specifically in relation to some of the high-profile cases that have jolted the Organization. There have been several cases where no action has been taken either to investigate abuses -– or even release the results of in-house investigations – including accusations against three senior officials holding the rank of Under-Secretary-General (USG). And one of them, who headed the International Civil Service Commission (ICSC), abruptly resigned last December—described as “the one that got away” — following the results of an internal report which is still under wraps and hidden from public view. Asked whether women staffers would get a more positive response if the UN was headed by a female Secretary-General, Ian Richards, President, Coordinating Committee of International Staff Unions and Associations (CCISUA), told IPS there are plenty of reasons for the next Secretary-General to be a woman. Women make up half the world’s population but so far they have been kept out of the top UN job, he pointed out. In some cases, it was quite the opposite, he added. “Nor have I seen a difference in how female and male managers deal with complaints, nor how female and male directors react in meetings when allegations of sexual harassment cannot be ignored,” said Richards, whose staff unions and associations represent over 60,000 staffers worldwide. Again, sexual harassment is a form of abuse of power and stopping it means sticking your neck out, taking a stand and tackling entrenched interests, argued Richards. “There are only a few women and men who will do that, and we need more of them,” he added. Paula Donovan, a women’s rights activist and co-Director of AIDS-Free World and Code Blue Campaign, said UN Secretary-General Antonio Guterres announced, back in April 2018, that he was initiating a new investigation, through UN Office of Internal Oversight Services (OIOS), into sexual assault and harassment charges lodged against the former Deputy Executive Director of UNAIDS, Luiz Loures. “Nothing has been announced since about this “new investigation’ she said in an interview last January. She said the Secretary-General has also never commented on any of the recent public reports of sexual misconduct in several other UN organizations —including the UN Population Fund (UNFPA), the World Food Programme (WFP), and the Office of the UN High Commissioner for Refugees (UNHCR) while the Secretary-General’s senior-level Task Force is headed by Jan Beagle, who was promoted to Under-Secretary-General by Guterres while she herself was under investigation for workplace harassment at UNAIDS. Meanwhile, Guterres last week announced a new advisory board of civil society leaders who’ll recommend fresh solutions to the UN’s long-running crisis of sexual abuse by its own personnel. “After two years, an advisory board has been formed. That’s the good news. The bad news is that the group Guterres has assembled is not the one he promised”, said Code Blue, a civil society organization protective of women’s rights, in a statement released last week. A “civil society” advisory board, especially on a matter as complex as sexual exploitation and abuse by UN personnel, must be made up of bona fide representatives of civil society, said Code Blue. But a board of six legal academics and a medical doctor, each with UN pedigrees, should be given a different name and assigned to work under a mandate that fits. “We await a Civil Society Advisory Board that truly deserves its name—and fulfills Mr. Guterres’ two years’ worth of promises”. Richards told IPS that civil society has been quite active in calling the UN out when it comes to sexual harassment and abuse. “I presume Guterres now wants to put the ball in their court. Of course, being an advisory board, it can only offer advice. I hope that in providing advice it will consider the bigger problem of abuse of power at the UN, of which sexual harassment constitutes according to our survey just 16 percent. If the board can support Guterres in tackling this, then I think we might get somewhere,” he added. IPS: Has the UN taken action against some of the high-profile cases of sexual abuse and harassment in the UN system? Or are the accused still in the employ of the UN? RICHARDS: Once the cases become high profile, it’s hard not to take action. The media starts asking questions and donors threaten to pull the plug. The question should really be about the many low-profile cases where managers are made aware of harassment but are afraid to take action. Crossing the wrong person or nationality could end their career, and some who have tried to take action have suffered retaliation. We should also remember that the UN is made up of many different organizations. Guterres can’t do that much about the specialized agencies such as UNAIDS or FAO as they don’t report to him. But this isn’t just about action at the top. I was recently at a big UN meeting. One of the speakers was a staff member who has been accused multiple times of sexual harassment but had not yet been investigated. There were many senior managers there, men and women. None of them spoke out against his presence and appeared to take it in their stride. This goes to show that policies in themselves don’t stop sexual harassment. Guterres needs to work on changing attitudes, perhaps by actively promoting staff who have stuck their necks out to fight harassment and abuse in the workplace. Then only can we start getting to zero tolerance. 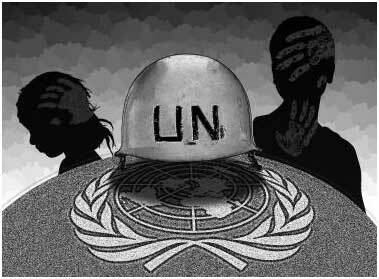 IPS: Are there any UN staffers who have been fired following investigations on sexual abuse? RICHARDS: Yes. And this is documented in a report on disciplinary practices that is sent every year to the General Assembly. But the investigation process remains extremely slow, and with a shortage of professional investigators, some harassment complaints are reviewed by panels of lay staff members, who have to juggle this task with their normal jobs. And of course, in peer review panels there is plenty of scope for conflicts of interest. IPS: Has the UN at any time co-opted your 60,000 strong staff union — the CCISUA– to solicit your views on the protection of staffers from sexual abuse? Or are staff unions being treated as bystanders? RICHARDS: We’ve been involved in reviewing the policy on preventing harassment, discrimination and abuse of authority, and we are keen to analyse the findings of both the survey that staff unions conducted on harassment in general and the survey that the organization contracted Deloitte to conduct on sexual harassment in particular. The surveys showed that staff don’t trust the investigation system and some suffered retaliation when they reported harassment. These are shocking findings and we hope that the administration will give us the necessary time to get to the bottom of these problems and get through the individual comments that were made in the surveys. However, as I mentioned, a policy doesn’t amount to much if there isn’t a will to implement it and managers turn a blind eye. IPS: Do you think the UN should have acted against a USG who abruptly resigned — weeks ahead of his retirement — following a report by the Office of Internal Oversight Services (OIOS) probing allegations of sexual abuse by him? And should the OIOS make this report public? RICHARDS: I understand that Guterres manoeuvred behind the scenes to hasten the investigation process so that the report could be issued before the USG reached retirement. However, once the report was out, the USG resigned, and there was not much the UN could do. Of course, in a private company there would be the possibility for the case to be taken through the national criminal system, which would lead to greater public scrutiny, and is perhaps an area that the advisory board should look at. A bigger concern is the way the complainants were allowed to be treated over the many months that the case was investigated. They had work taken away from them and a group of women where they worked published a letter disowning their complaints. Last summer, one of them was publicly humiliated by the USG at a meeting in front of human resources directors, women and men, from across the system. I told the USG that this behavior was wrong. I hope others did the same. At the same time, an investigation into how the case was handled, with lessons drawn for the future, would be a good idea. IPS: Is there a role for member states and the General Assembly to pressure the Secretary-General to take more drastic action — beyond the much-publicized “zero tolerance” policy– against sexual harassment? RICHARDS: Yes, they could ask for reports of investigations, where harassment and abuse are proven. These would of course have to be suitably redacted in order to protect the identities of the complainants and witnesses. It could bring much-needed transparency to the process and create a push to change attitudes.